Geographic location refers to a position on the Earth. Your absolute geographic location is defined by two coordinates, longitude and latitude. These two coordinates can be used to give specific locations independent of an outside reference point. Relative location, on the other hand, defines a location in terms of another. For example, Lille is north of Paris. These two types of geographic location are useful in different circumstances. Your geographic location refers to your specific location on earth, defined by your current latitude and longitude. Longitude denotes the east/west position of a geographic location. Longitude lines run north and south across the Earth, between the two poles. The prime meridian is the zero line for longitude. It runs between the North and South poles, through Greenwich, England. The prime meridian splits the Earth into the Eastern and Western hemispheres; the International Date Line divides the Earth opposite the prime meridian. The International Date Line is not straight due to social reasons, but all other longitude lines are parallel to the prime meridian. Latitude denotes the north/south position of a geographic location. Latitude lines run across the Earth, perpendicular to longitude. The equator divides the Earth into its Northern and Southern hemispheres. All other latitude lines are parallel to the equator. Lines that are below the equator are southern latitudes, whereas lines that are above the equator are northern latitudes. The units of measurement for longitude and latitude are degrees, minutes and seconds. The Eastern and Western hemispheres each contain 180 degrees of longitude, totaling 360 degrees. The Northern and Southern hemispheres each contain 90 degrees of latitude, totaling 180 degrees. The minute and second components of these coordinates correspond to more precise divisions between degree lines. Each degree contains 60 minutes, and each minute contains 60 seconds. 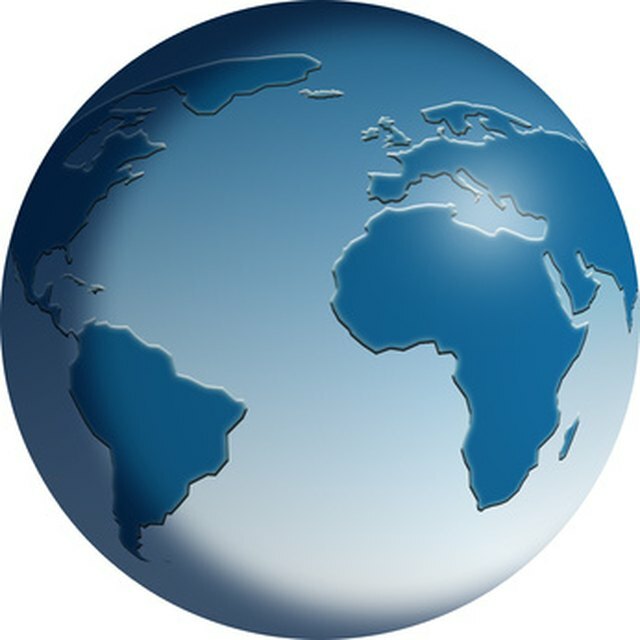 The coordinate system of geographic location is used to represent specific locations on the globe. Because longitude and latitude lines form a grid on the Earth, you can pinpoint precise locations with just two coordinates. Hence, these coordinates are extremely useful whenever global navigation is concerned: Global positioning devices, maps and other navigational services benefit from such an accurate way of noting position. Relative geographic location is useful for unassisted human navigation. With no instruments, you must rely on natural landmarks and other points of interest to gauge your position. For example, it is probably easier to drive north to Colorado Springs, Colorado, knowing that it is roughly 72.4 kilometers (45 miles) north of Pueblo than it is to navigate to 39 degrees north, 105 degrees west. What Is the Geographic Grid? Murmson, Serm. "What Does "Geographic Location" Mean?" Sciencing, https://sciencing.com/geographic-location-mean-8667.html. 23 April 2018.